Best dang sweep in Virginia! Your chimney is where the action takes place. Through the flue liner is where the smoke and soot escape. We clean the exterior, seal it, repair mortar joints and crowns, and install caps and chase covers. Your fireplace, or firebox, is the heart of your chimney. We inspect, clean, and make necessary repairs to the firebox, woodstove, and gas logs. Did you know that your dryer vent could be a fire hazard? The buildup of lint and debris, to include environmental debris, can cause a fire. We inspect, clean, and repair dryer vents to comply with safety regulations. Just like you would take care of your car and its required maintenance, your fireplace and chimney flue need the same, relative maintenance! It is of the utmost importance to maintain your chimney to ensure the safety and integrity of the structure and your home. 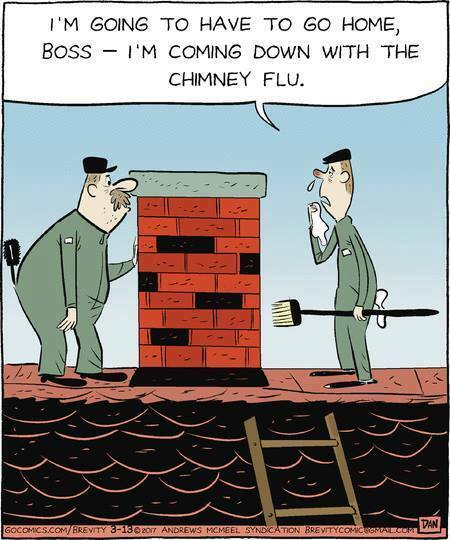 Calling a professional chimney sweep is essential as it is not recommended the homeowner do the work on their own. From the necessary firebox repairs, to the dangers of third degree creosote, to cracks in the top of the chimney that can cause leaks, a chimney sweep is the expert to rely on to ensure your safety and your family's safety. Call the experts at Johnston's Chimney Sweep and lean on us as your professional chimney sweep.